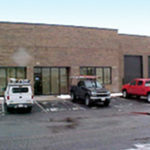 PirTano Construction Company, Inc. owns a three acre site in Addison, where we maintain a 12,000 square foot building for our office and shop. 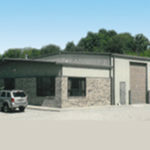 Our Aerial Construction Department, Underground Construction Department, Engineering and Design Department and Estimating Department are all housed at this facility, as well as the office staff. Twenty underground sewer and water crews are deployed from this location as well as our crews who install aerial and underground cable, along with telephone and fiber topic projects. All requests for bids must be handled through the main office in Addison, Illinois. Send sewer and water requests to (630) 691-4306. 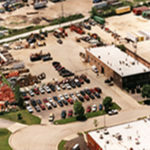 Send utility bids to (630) 932-1882. At the Ingleside office, we are currently looking to hire employees to perform installation in areas of Northern Illinois including McHenry and Lake Counties, as well as the surrounding territories for Comcast. All requests for bids must be handled through the main office in Addison, Illinois. Send sewer and water requests to (630) 691-4306. Send utility bids to (630) 932-1882. 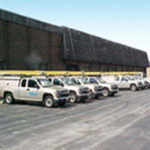 At the South Holland office, we are currently looking to hire employees or contractors to perform installations out of the Homewood and Kankakee territories for Comcast. All requests for bids must be handled through the main office in Addison, IL. At the Portage office, we are currently looking to hire employees or contractors to perform installations out of the Portage, Merrillville, Michigan City, and Hammond areas, as well as the surrounding territories for Comcast. 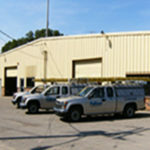 We offer competitive pay, a truck, tools and health benefits to qualified applicants. At the Elmhurst office, we are currently looking to hire employees to perform installations in DuPage, Cook and parts of Kane County, as well as the surrounding territories for Comcast.